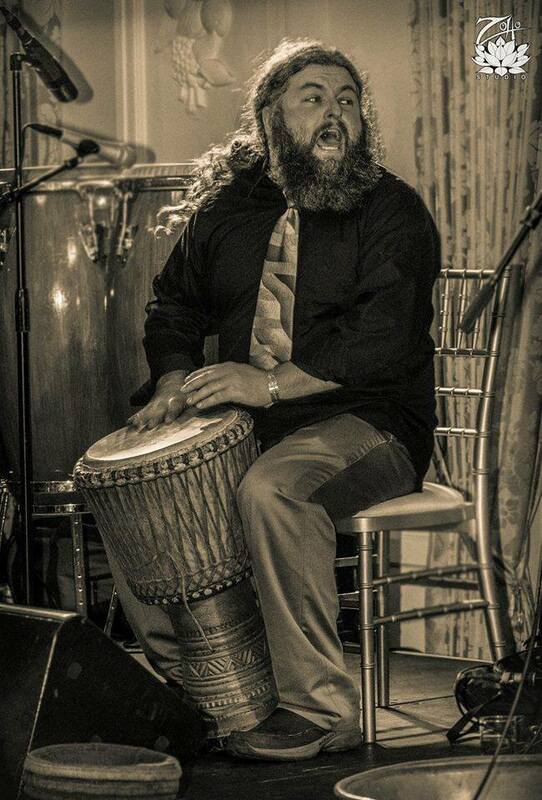 Oswego native, Griffin James Brady, has a Master of Arts degree from Goddard College with a focus in Ethnomusicology and Music Pedagogy. His masters thesis and adjoining musical method books were inspired by his work as a touring musician and educator with groups such as the SAAKUMU Dance Troupe of Ghana, West Africa. Upon founding the Slyboots School of Music, Art & Dance in Buffalo, NY in 2006, Griffin has been teaching and performing in over 800 Universities, Colleges, High Schools, Elementary Schools and clubs across the United States promoting the Slyboots mission- “positive social change through cultural arts education and performance. Bringing the world together, on the sly.” In addition to his touring efforts, Griffin also works as a teaching artist in WNY schools, has been a featured speaker at various panel discussions and events including the Ted X Buffalo conference and he also organizes and implements a study abroad program that has brought WNY students to Africa nearly every summer since 2010. Griffin is also widely known for the community events that he produces including weekly drum and dance classes and the annual multi-day music, art and dance festival– SLYFEST– as well as his audio production work in association with Ripe Audio at Nights Of Fire, Bidwell Park, Larkin Square and Buffalo Ironworks. In addition to performing and directing the resident ensembles at the Slyboots School; The Slyboots Circus & The Slyboots Drumming Ensemble– Griffin has performed, recorded and sat in with a wide range of artists such as; Bernard Woma and the Saakumu Dance Troupe, Mohamed Diaby and Manding Foli Kan Don, Cyro Baptista, Brian Marsalis, Billy Martin and the UB Percussion Ensemble, Northern Choral Society featuring the Malawi Youth Choir, DJ Logic, Bernard Purdie, Critt’s Juke Joint, Surprise me Mr. Davis with Marco Benevento, The Slip and Nathan Moore, Lotus, DYNOHUNTER, Soul Roach, One World Tribe, The Manhattan Project, Toubab Krewe, The Mike Dillon Band, Saranaide, The MK Groove Trio, Sophistafunk, Babik, 12/8 Pathband, Family Funktion and the Sitar Jams, Buffalo Afrobeat Orchestra, Giant Panda Guerilla Dub Squad, Sophistafunk, Funktional Flow, The Jony James Blues Band, Brownman, Folkfaces, RiShon Odell Northington, Type Relevant, Effective Resolution, Larry LZ Dillon, Andrew Moore, Mike Sisto, Tiger Chung Lee, Cinnamon Aluminum, Caveman, Ramforinkus, The Joseph Glarner Jazz Band, Dennis Cicak, Subsoil, House on a Spring, Dali’s Ghost, Slip Madigan, Universe Shark, Adam Bronstein’s Freehand Band, The Buddhahood, Randle and the Late Night Scandals, Little Mountain Band, Working Man’s Dead, Dead Alliance Buffalo, Black and Blues Band, Lake View Effect, New Clear Fusion, One Love Marley Project, Brian DeAngelo Ensemble, Michael King Project, John McConnell, The Garafolo Brothers, FJE, Big Sauce Trio, Made in America, Blue Saturn and more. Bernard Woma December 18, 1966- April 27, 2018. Bernard was a distinguished artist, teacher, mentor, friend and Co founder of the Slyboots School of Music, Art and Dance and the Buffalo World Music and Dance Academy. Bernard first came to SUNY Fredonia in 1994 as a guest artist, and subsequently served for fifteen years as an Adjunct Instructor in the School of Music. While teaching, performing, and sharing his Ghanaian musical talents and Dagara cultural roots with the student body, faculty, and community, Bernard also completed an earned bachelor’s degree in international studies with minors in history and arts administration from the State University of New York at Fredonia. Later, at Indiana University, Bloomington, he earned two master’s degrees in african studies and ethnomusicology. Bernard was a true cultural treasure from Ghana who toured the world with such titles as Solo Gyil (xylophone) player and master drummer of The Ghana Dance Company at the National Theatre, and artistic director of the Saakumu Dance Troupe. He also performed with renowned artists such as Maya Angelou, Yo Yo Ma, and Glen Velez, as well as major symphony orchestras around the world. He played for international dignitaries and presidents, such as United States Presidents Bill Clinton and Barack Obama, Queen Elizabeth II, and Nelson Mandela. In 2009 he was honored as the cultural resource person for President Barack Obama’s family when they visited Ghana, and personally taught Ghanaian music and songs to President Obama’s two daughters.Bernard’s numerous featured performances in the United States included appearances with the New York Philharmonic at Avery Fisher Hall, Lincoln Center; South Dakota Symphony Orchestra; Minnesota Orchestra; Albany Symphony Orchestra; and a solo concert at Carnegie Hall. Internationally, he was a featured artist with the Berliner Symphoniker in Berlin, Germany, and KwaZulu Natal Symphony Orchestra in Durban, South Africa. 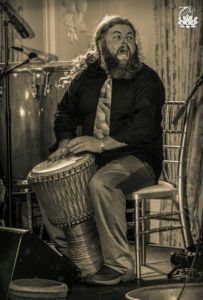 He held residencies with the Ethos Percussion Group, organized performances for New York’s African Xylophone Festival (AXF), as well as taught and held residencies at numerous universities and colleges in the United States. The performance of his gyil concerto composition, “Gyil Nyog Me Na,” in the spring of 2006 at Zankel Hall in Carnegie Hall, New York was a testimony to the level of his musicianship.Bernard was the Artistic Director of the award winning Saakumu Dance Troupe and the founder and director of the Dagara Music and Arts Center in Medie, Ghana. Until a few days prior to his passing from a four-year, heroic battle with cancer, Bernard maintained a busy teaching, performance, and touring schedule. It is the mission of the Slyboots School to continue Bernard’s legacy of brining the world together through cultural arts education.